The Tiffen 52mm Digital Diffusion/FX 4 Filter is a softening and diffusion filter specifically meant to appear invisible, as if no filtration is being applied. 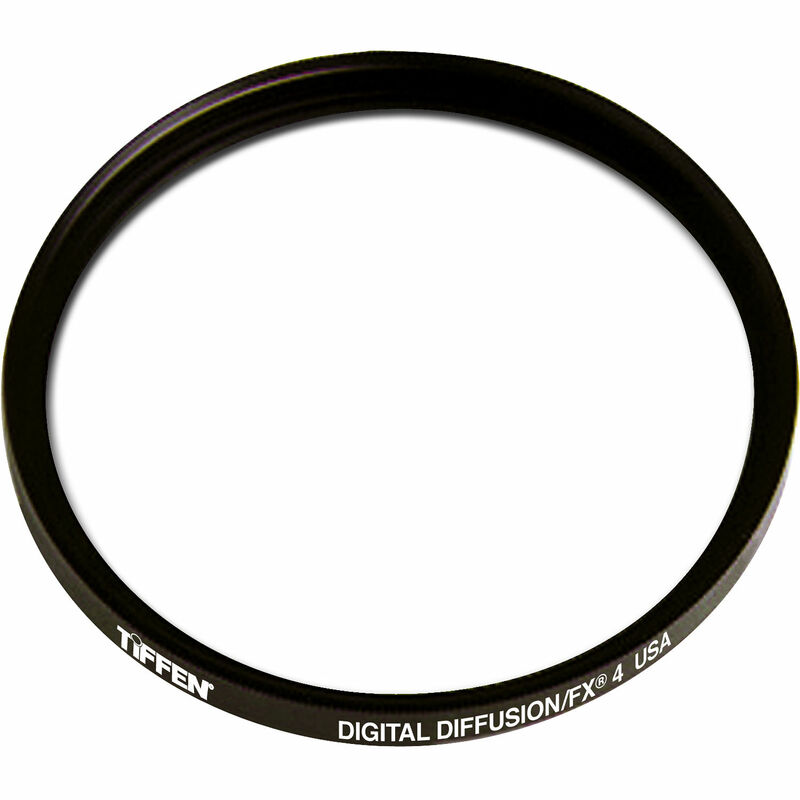 Compared to other diffusion filters, this filter offers virtually no flare or loss of contrast for more subtle applications. It helps to lessen facial blemishes, wrinkles, and gently smooth textured backgrounds while maintaining sharp focus. The 4 density provides more softening than the 3, but less than the 5. Box Dimensions (LxWxH) 3.9 x 3.2 x 0.8"